The temple fair is one of the most important and traditional cultural event during the Spring Festival in China. 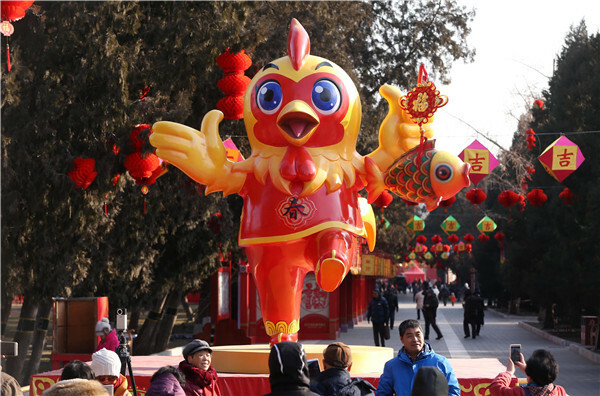 There are more than 10 major temple fairs will be held in Beijing from 28, Jan to 1, Feb, this year. The most popular temple fairs in Beijing are Ditan Temple Fair, Longtan Temple Fair, Daguanyuan Temple Fair, and Taoranting (Chandian) Temple Fair. Temple fairs in Beijing have a very long history, dating back to around 1000 AD. The tradition of a temple fair (called ‘Miao Hui’ in Chinese) began as groups of vendors started doing business near Buddhist and Taoist temples as many pilgrims came to pay tribute to the gods during traditional festivals. Nowadays, all kinds of folk Performances and booths demonstrating and selling traditional arts and crafts are found in Beijing's traditional temple fairs. Meanwhile, visitors can taste numerous kinds of local snacks and other dishes.